Home Spotlight Does Cold Emailing Still Work? Smartcuts author Shane Snow sent 1,000 cold emails to high-level executives. The silence was deafening. Email marketing delivers an average of 4400% ROI. Email is 40 times more potent at new customer acquisition than social media. Your email is five times more likely to be seen than that same message on Facebook. Studies continue to prove that email is a valuable marketing vehicle (over 74 trillion emails are sent each year, and that number continues to rise). So why do so many cold emails go unopened? Here’s a hint: it’s not because cold email doesn’t work – because it absolutely does. First, you have not established a relationship with your audience. They may have no clue who you are, what you do, or why the hell you’re invading their inbox. And second, there’s no two-way feedback in email marketing, so you can’t tailor your approach based on their immediate response. You don’t know how they reacted to your message, what attracted them to open it, what made them delete it – or if they actually saw it. These things can work against you, but that doesn’t mean that all cold emails will fail. Case in point: Snow took a section of his 1,000 email addresses and tried again, getting much better results the second time by switching up a few elements. Your first cold email is your first icebreaker. It’s your introduction to not only help the recipient get to know you, but also encourage them to respond. The biggest mistake many businesses make with the first cold email is jumping straight into a sales pitch. They want to cut to chase and grab the lowest hanging fruit. But let’s be real: no one likes being accosted by a total stranger trying to sell them something. Successful emailing is all about establishing a connection that will ultimately be beneficial to both sender and receiver. To do this, your first email should be short, personalized, and not overtly salesy. If you’re sending out a hundred emails in masse, personalization becomes increasingly difficult. You’ll get a much better response rate if you can tailor each one to the recipient (eg “I loved your book” or “It was great meeting you at the tradeshow”, etc), but if individual emails aren’t feasible, try to make the copy sound as unique as possible. You want to show them you’re worth taking up some of their inbox space. Tell them what you can offer them or how you can help them. Give them a compelling offer that matters to them. Above all, keep it simple. Saying something like “Quick question” or “I’ll keep this brief” can help you gain a foothold. In Snow’s experiment, he tested two different subject lines (a short “Quick question” and a longer variation of this) and found that over half of their opens came from the shorter version. Nearly half of all sales reps stop after hearing the first “No,” yet studies continue to show that over 80% of sales happen after five or more contacts. Persistence pays, even in email marketing. If you didn’t get a great response from your first cold email, it’s always a good idea to follow up with a second email. There are plenty of reasons why your first email could have gone ignored. Someone didn’t see it in their inbox. It went to Spam. They deleted it by accident. They mean to read it and forgot about it. They weren’t interested. There’s no way for you to know for sure, so never assume that someone’s ignoring you at this point. What makes a successful second email is that it’s a continuation of the first. However, this could look different to someone who opened the first one rather than someone who did not. Here, you’re continuing the conversation and still building the connection that’s critical to your success. If you’re emailing someone who responded to the first (or at least opened it), you’ll want to continue delivering value to move them to the next step. This might be a call to action to help build more awareness, such as visiting your website or downloading an ebook. Or you might send a helpful blog post that solves a problem. If you’re sending another cold email, you’ll want to restate your message with a little more detail. Make your offer more compelling than the first. Add a little credibility to yourself so the recipient knows who you are and why you’re emailing them. If the first and second emails didn’t get you much traction, a goodbye email might be in order. You can’t spend all your time chasing leads that don’t check their email or just aren’t interested. Always end it on a positive note. It might feel like a bad breakup (no one likes to be ignored! ), but you always want to leave them with good feelings and an open door to encourage future contact. You might also leave your contact information and a piece of valuable content, such as a blog post or case study, that gives them one last chance to take advantage of what you’re offering. 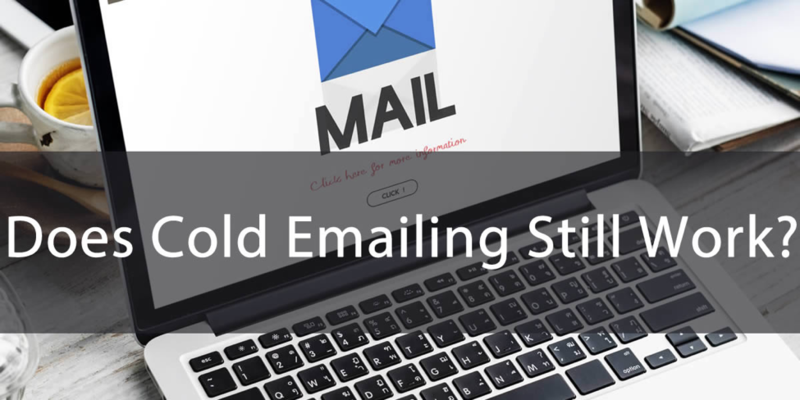 If you’re sending cold emails and not getting a great response, don’t give up just yet. Take a step back, evaluate your content and how you’re trying to appeal to your audience, then put the above suggestions to work. Cold emails can be powerful in generating new leads, driving website traffic, and gaining exposure. Even if you only get a few new customers, most folks would say it was a worthwhile effort. Author: Benjamin Shepardson is the founder of NoStop Content, a Key West-based content agency specializing in delivering personalized experiences. With an extensive digital career dating back to before social media and WordPress.